Role-playing game is a hobby game. Role-playing dice is a branch of role-playing game. As a specific subdivision industry, TOP IMPRINT has developed a new category of metal dice. As the inventor of metal dice, before that all role-playing players only played plastic role-playing dice, metal dice completely overturned. Player’s thinking, since you know metal dice, do you know how many role-playing metal dice? On this issue, as a pioneer and leader of the industry, I hope this article will help you fully understand the role-playing metal dice. First of all, the role-playing die of zinc alloy is introduced, because this role-playing die is the mainstream die in the current market. This die-casting die is made of zinc alloy material and then manufactured by a series of processes (such as polishing, electroplating, electrophoresis and coloring etc.). In this process, every step may face difficulties. TOP IMPRINT plays the role of zinc alloy. The development and manufacture of dice has accumulated rich experience in role-playing metal dice manufacturing. A lot of research and improvement have been spent in each zinc alloy process step to produce the absolutely highest quality metal dice in the industry. If you want to know more cases of process improvement, please refer to the introduction of our other related topics. Tin dice is an important supplement to zinc alloy dice, but as a soft metal, its hardness is lower than that of zinc alloy and its metal plasticity is lower. Therefore, this kind of metal dice is not suitable for role playing. It is only suitable for making similar square products with certain dice functions, such as dice props for display. Metal dice for propaganda. Aluminum alloy dice is expected to become a new and important role-playing metal dice category, because its weight is lighter than zinc alloy, its manufacturing process is more complex than zinc alloy, its forming equipment is larger, its order quantity is more demanding, and its cost is higher than zinc alloy, so it will not be selected as the most important material choice for custom metal dice in many cases, but The metal role-playing dice of this material will still be an alternative material metal dice. Stainless steel role-playing metal dice is similar to zinc alloy role-playing dice, and its hardness is stronger than that of aluminium alloy dice. However, similar to aluminium alloy role-playing dice, stainless steel dice also has the defect of insufficient plasticity, because vacuum plating process is needed in dice color selection. This surface treatment process requires more dosage. At the same time, the plated color is mainly metallic. It can’t be plated many colors such as red, yellow, blue and green like zinc alloy dice. 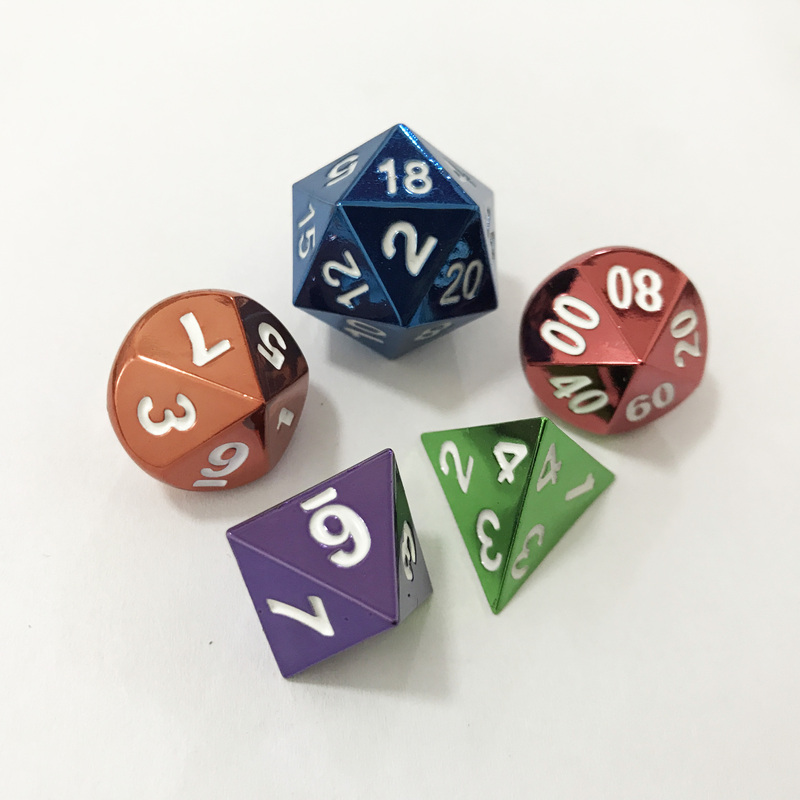 If the color of metal dice is not required much, customers can choose this stainless steel as the material of role-playing metal dice. Cast copper dice is a combination of the characteristics of zinc alloy and stainless steel. The process of casting copper includes the plasticity of zinc alloy and the hardness of stainless steel. However, there are still some difficulties in choosing colors. This kind of dice is most suitable for special design dice, such as role-playing multi-sided hollow dice. When it comes to titanium alloys, you must think of airplanes or warships. Yes, titanium alloys are widely used in military and civil high-end equipment manufacturing as a light and harder metal material. The production process of titanium alloy mainly involves two types: one is cutting and moulding of titanium alloy, that is to say, cutting and grinding titanium alloy billets to achieve specific product moulding; the other is casting of titanium alloy, as a high-end titanium alloy casting, although common in military and aircraft enterprises, but in the production of common civil products. However, there are not many of them. This is because the casting of this kind of titanium alloy requires a higher technical threshold, more capital investment, and it is difficult to support this large investment without the support of large long-term project orders. So it is impossible for you to find a titanium alloy manufacturer, but TOP IMPRINT has established good cooperation with the civil departments of some military equipment manufacturing enterprises in China because of the accumulation of role-playing game industry and the high-end positioning of dice products. The civil departments of these military enterprises can help us to meet the needs of the project. To produce titanium alloy role-playing dice, this unique supply chain relationship ensures that TOP IMPRINT’s titanium alloy role-playing dice products have the strongest manufacturing strength and no fear of large-scale investment. If you want to make top-class role-playing game multi-sided metal dice, use TOP IMPRINT’s supply chain to do your project. Our superior supply chain and excellent project management experience will make your project a perfect fighter in the role-playing metal dice local industry. 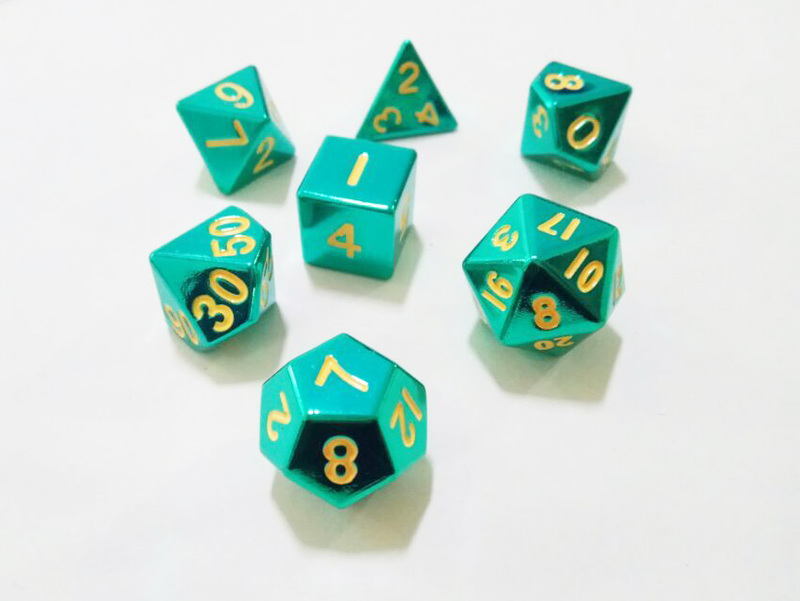 Through the introduction of the above six different role-playing polyhedral metal dice, you should have known the basic materials and their corresponding characteristics of the metal dice industry. If you want to produce the most unique metal dice products, please contact us. We provide free consultation service for the role-playing metal dice project, and also in the design and development of your metal dice products. 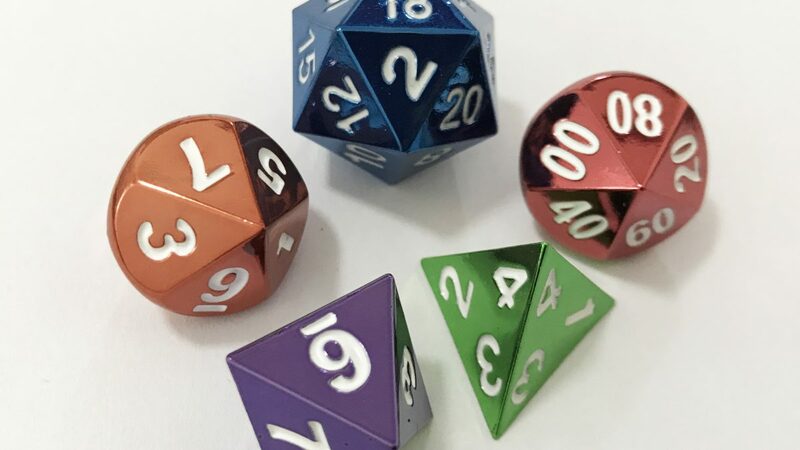 Phase gives suggestions and opinions to our manufacturing side, and the projects we cooperate with are protected by confidentiality agreements, so the free consultation service throughout the process really helps your custom role-playing metal dice project land better. If you are not ready to customize the production of specially designed role-playing metal dice, you can also choose a large number of regular role-playing metal dice in certain colors or colors, top-level role-playing metal dice product quality and excellent customer service will certainly let your brand take off in your local role-playing market, about our role-playing metal dice production. How about the goods and services? Don’t ask me. Ask my American or German clients. Customize your enjoyable game products? © Copyright 2019 TopImprint. All rights reserved.